38sqm (20sqm lower floor and 18sqm upper floor) apartment. Recently restored the apartment offers a wonderful contrast between the new modern style of the decor and furnishings with the old grand style of the apartment building and surrounding area giving the apartment a uniquely special atmosphere. Downstairs there is a fully equipped kitchen, spacious bathroom and a living room. On the upper floor is a large double bedroom, with double bed, leading off from the mezzanine reading level with arched ceilings giving the apartment its special atmosphere and character. They say buying property is all about loaction, location, location. That's why we purchased this place. Both to live and visit Akademia utca (street) has some many positives. The apartment itself offers a great romantic, cosy atmosphere in a peaceful central setting. Looking onto a peaceful well kept inner courtyard, you step out into the heart of the central district of old town Pest. 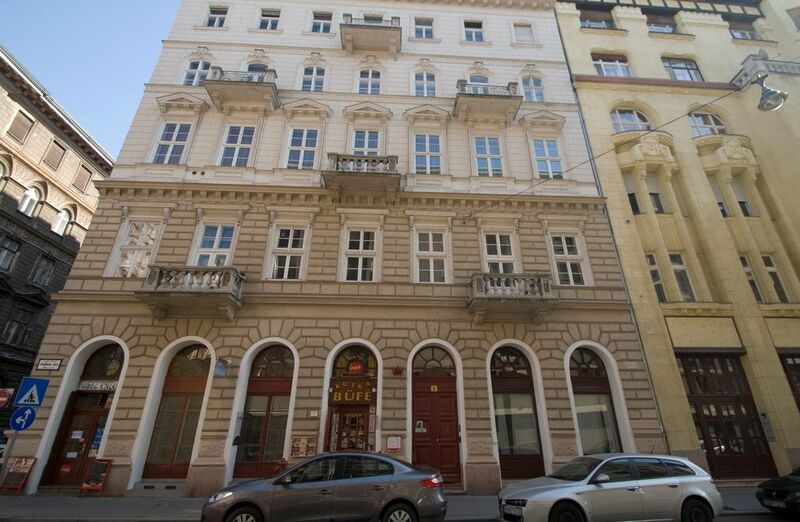 With the Parliament 2 minute walk to the right and Chain Bridge 2 minute walk to the left with Szabadsag (liberty) park 1 minute walk behind. Baby cot and high chair is available on request for free of charge. Apartment Akademia is situated within 'Europe's most diverse cultural avenue' in the heart of the city within the boundary of the UNESCO world heritage site Budapest. Only a couple of minutes walk from The Chain Bridge, the official, as well as spiritual centre of Budapest, the Basilica of St. Stephen and Parliament. Fantastic architecture and history echo all around the ministerial, business area of the central 5th district and seconds from the spectacular views over the river Danube to the Royal Palace. There are many of the best restaurants, bars and cafes within walking distance. Choosing to stay at Apartment Akademia you will have one of the best locations within Budapest very close to Váci utca.